Awards are another possibility. Tired of handing out paper certificates? Have a special award to give? 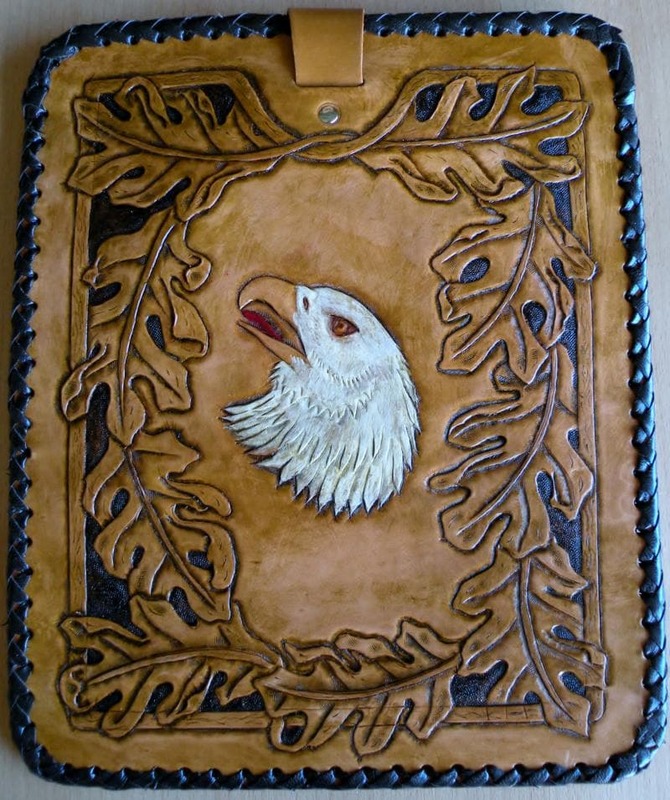 Use a leather certificate! 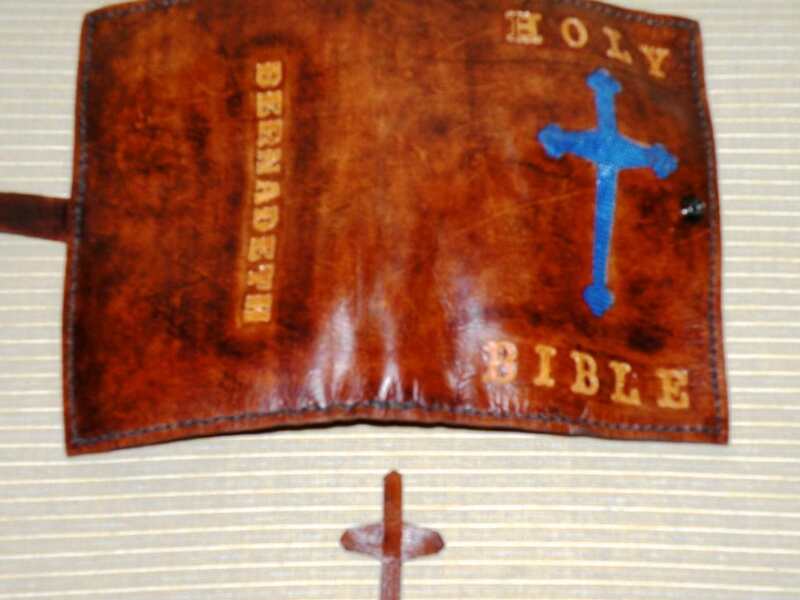 Need to cover that special book, notebook/scrapbook or bible? 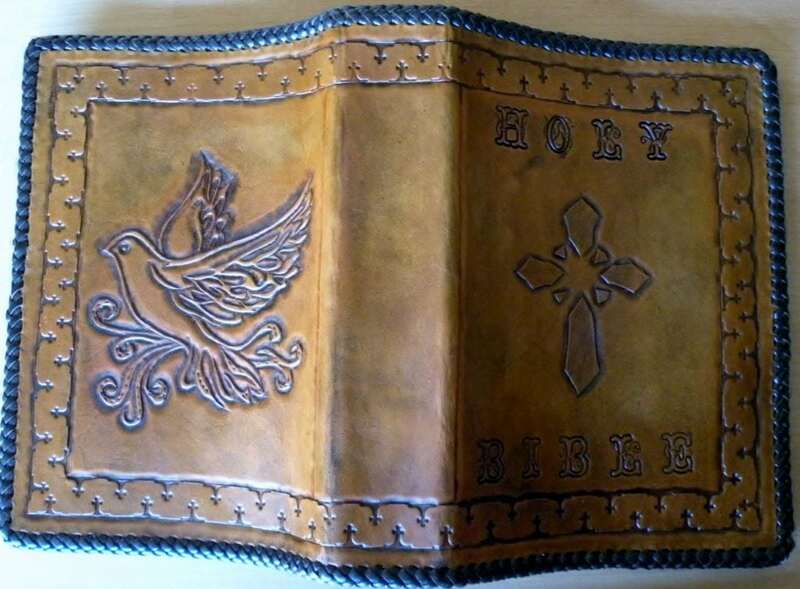 A custom leather cover will make things extra special. 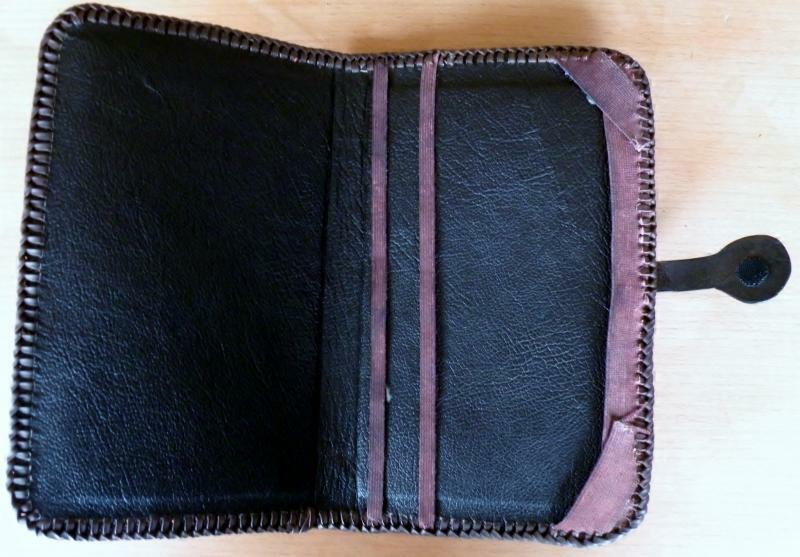 Other options include a leather card case, portfolio, laptop case or briefcase. 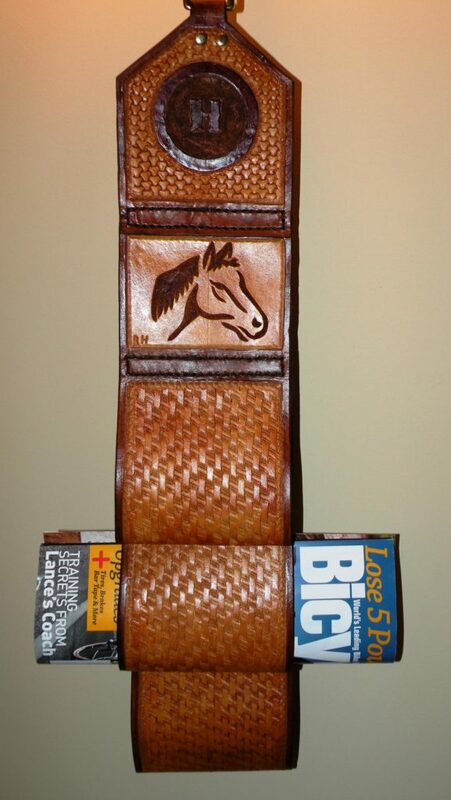 And of course there’s always leather art work that can be used to decorate any office. With all the things to carry, it makes sense to use a briefcase or messenger bag. 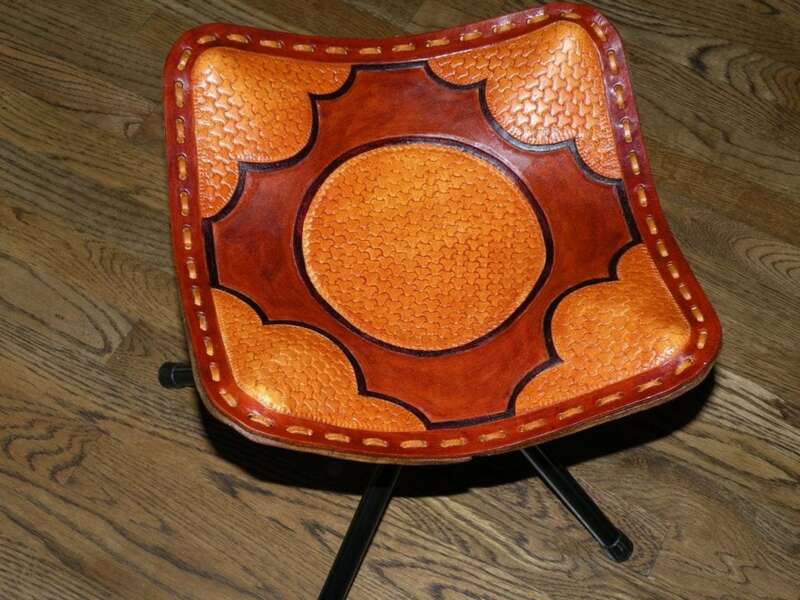 However, there’s no need to do this without style and leather. I can make a bag to your specifications, design ideas and colors. Do you have a Kindle, Nook, IPad or other tablet computer device? 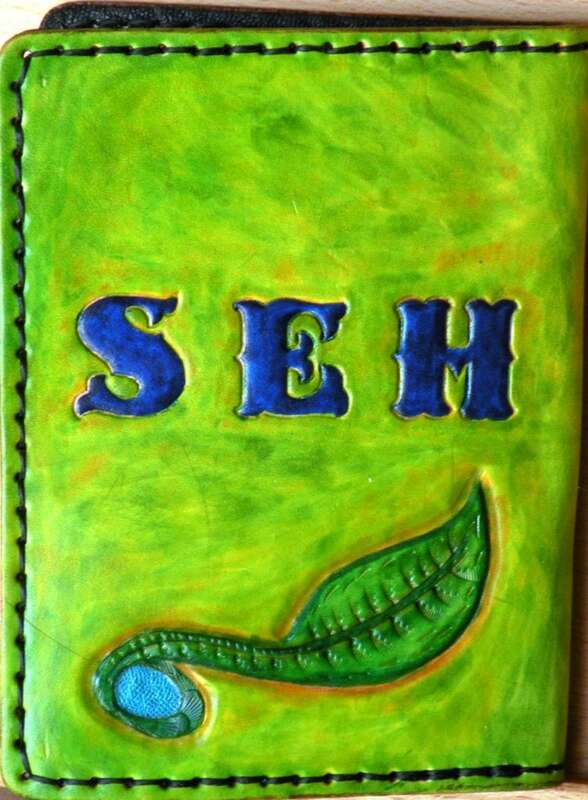 Get a custom tooled case for it. Wall hangings always brighten an office. 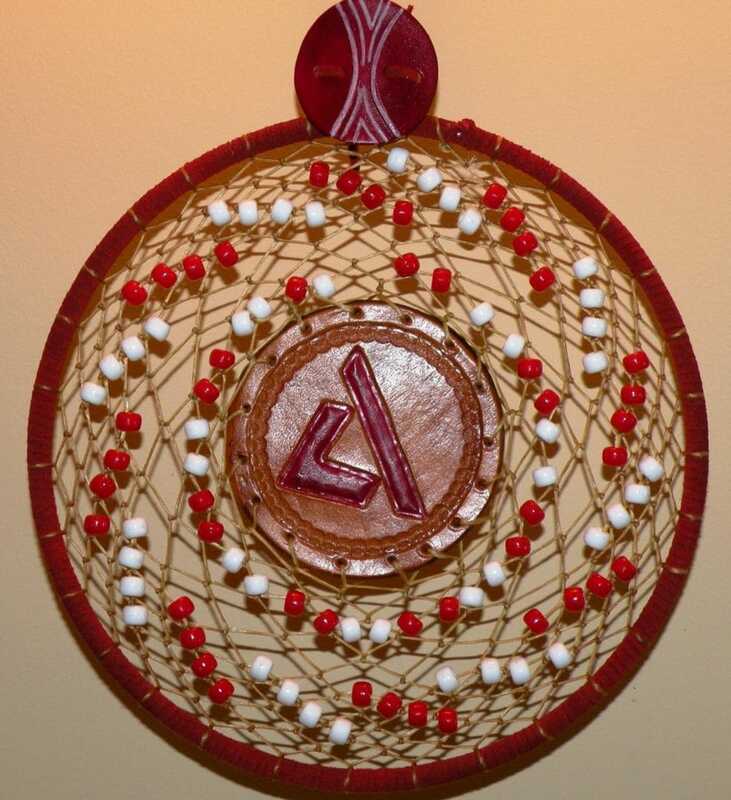 Here are two dreamcatchers that are both decorative and promote the organizaiton. The same can be done in other forms as well. An elaborate dreammaker for USAID in Lebanon (left). 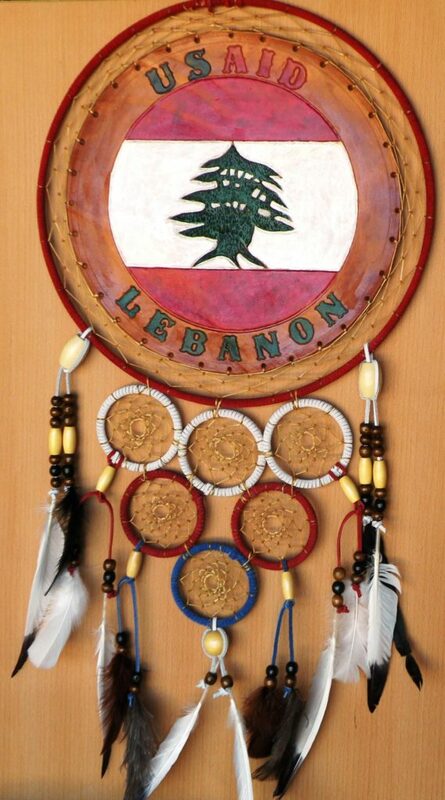 Features the organizaiton’s name and the Lebanese flag. Dreammaker with the logo of the American Diabetes Association (right). 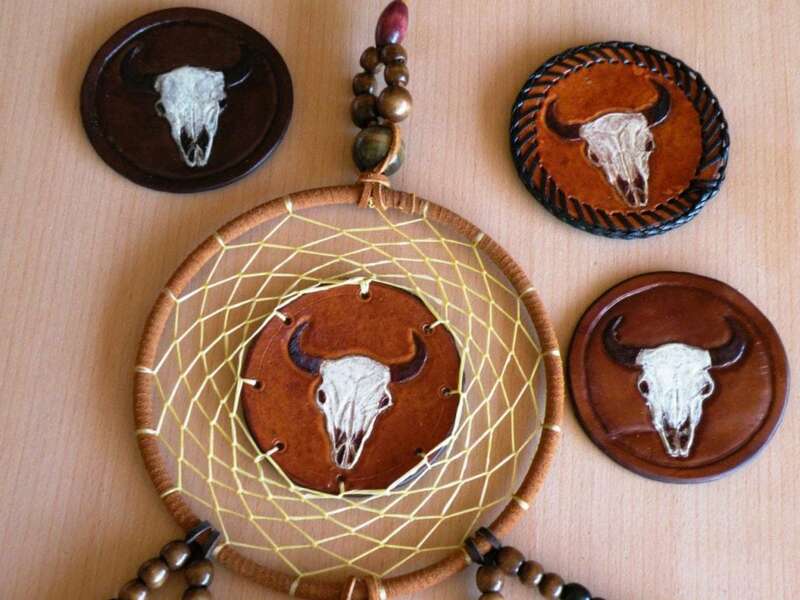 Protect your desk and tables from water rings with functional and decorative leather coasters. The coasters can be plain or with a pigskin backing. They can be sewn or laced if desired. Travel alot? 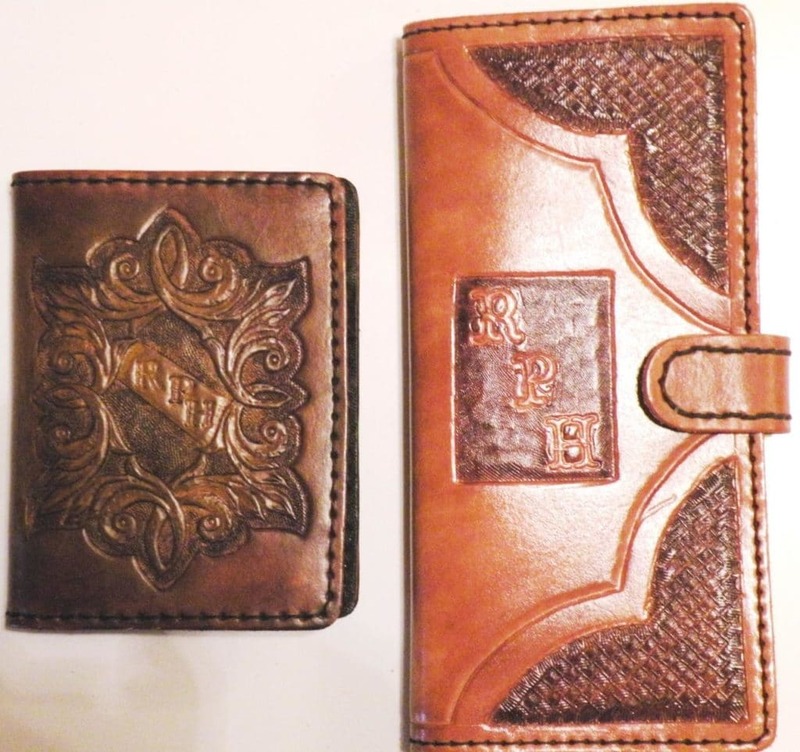 Get a leather cover for your passport ($47.50) to protect it and to make it easily identifiable. 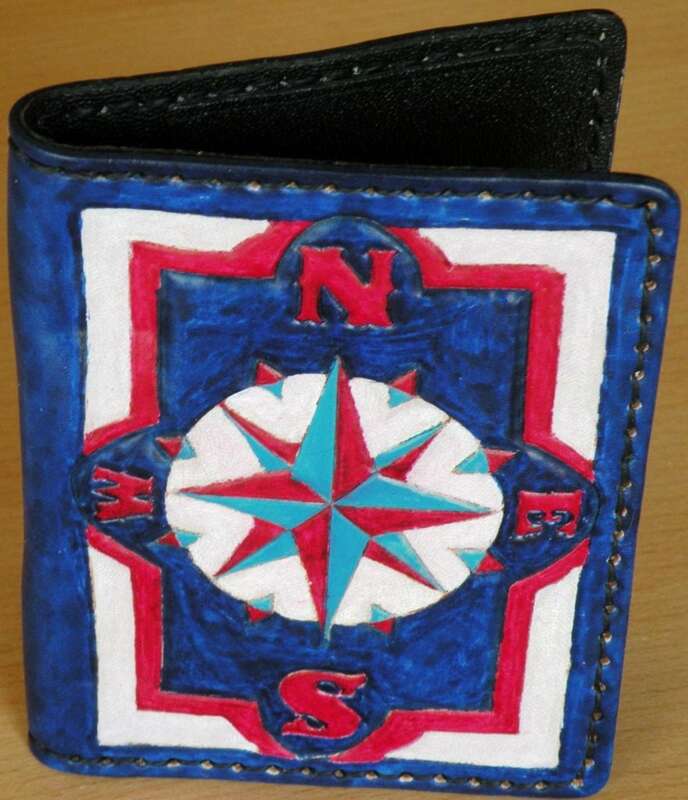 Also has pockets for other id, health card, credit cards, frequent flyer cards, etc. Need to carry even more or a place to keep your itinerary, tickets and all those other papers? Try the passport portfolio ($70). The examples below clearly show that color is a definite possibility! 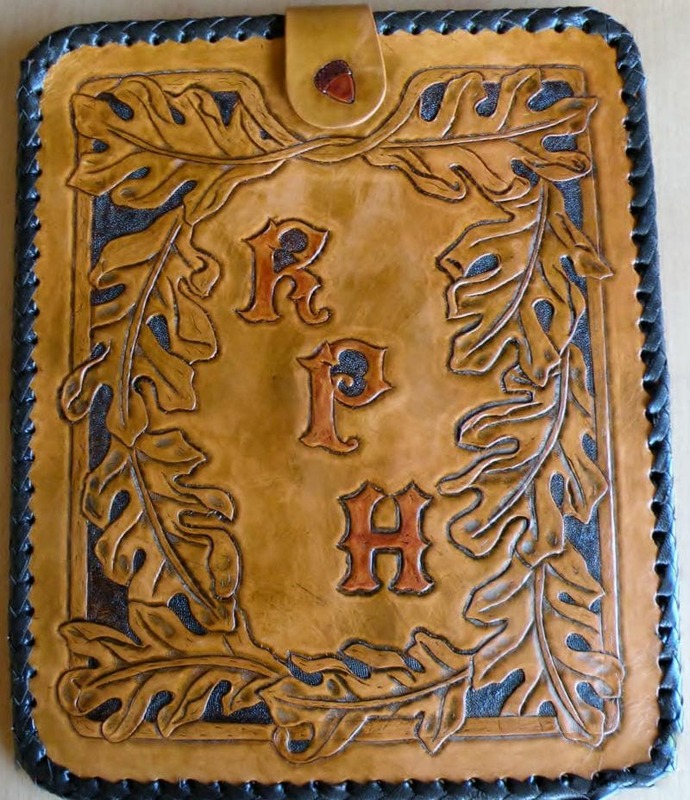 A custom bookcover can both protect and decorate that special book. 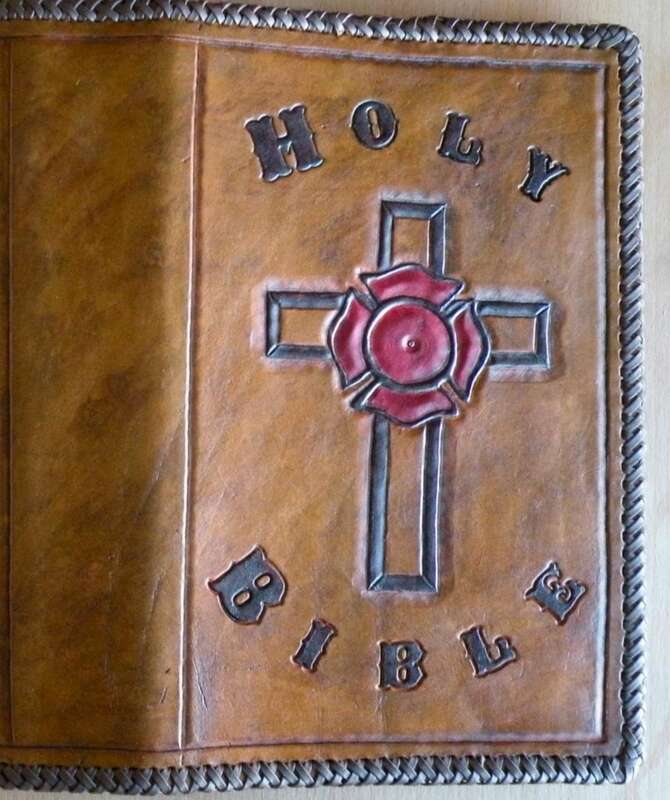 One popular example is a Bible cover (example shown in theaccompanying picture). As always color and decorations are your choice. The edges can be sewn or laced. If that isn’t an option for you, take butcher paper or heavy wrapping paper and cut it down to form a cover around the book. Make sure to leave one-half inch (1/2″) extending beyond all the edges of the book. If the book’s cover is thicker than the typical hardcover book, make this overhang larger. Please be sure to tell me how much of an overhang you included. 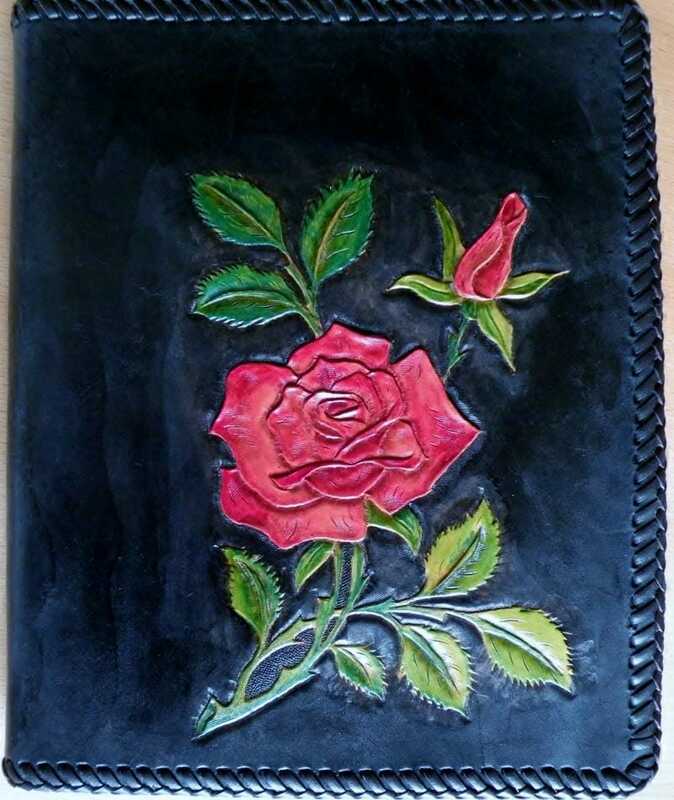 Send me this paper cover and I will use it as the pattern for your book cover. The other measurement I’ll need is the width of the book (measure from the edge of the cover to the beginning of the spine. truly special recognition to someone? 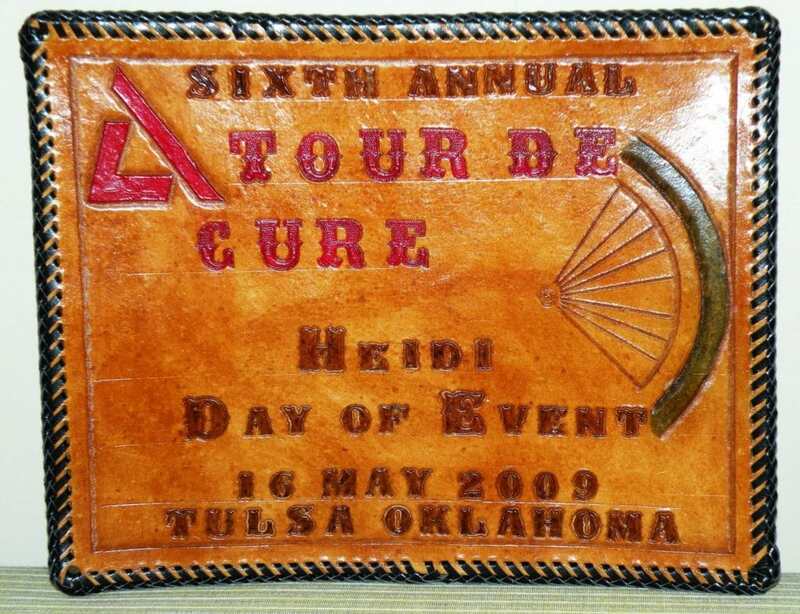 Try a custom leather certificate! 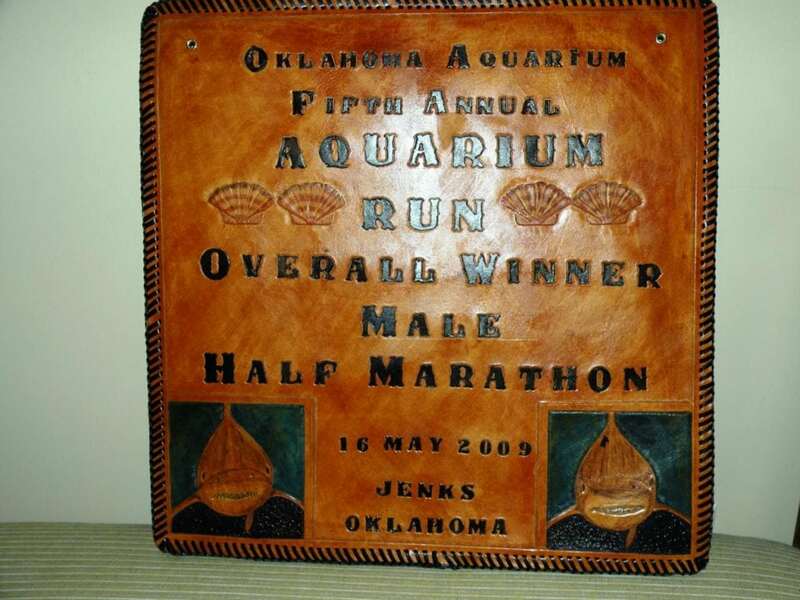 How about a special wall hanging of your company logo? It’s all possible. Prices will depend on the size, materials, complexity of the information on the certificate. Mark your territory and let people know who you are with a custom name plate. The one shown above is free standing and can display a name or message on both sides. Pricing is by the inch and varies with the height of the sides. 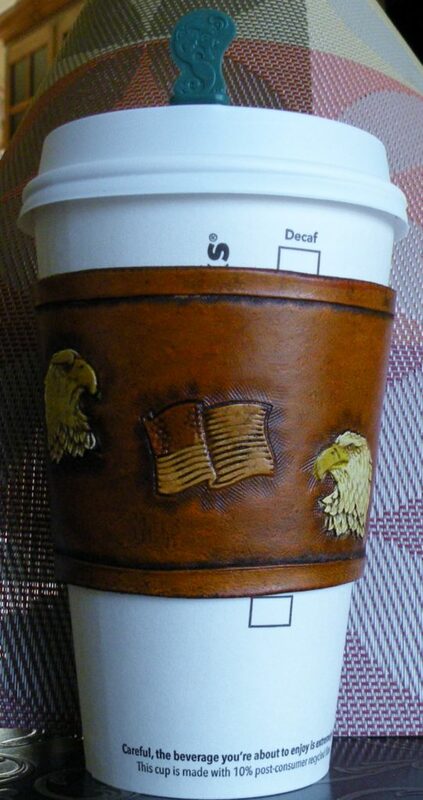 Why use those disposable cardboard sleeves when you buy coffee when you can use a customized leather sleeve? Here are a variety of examples…and remember, if you don’t see it, ask for it! 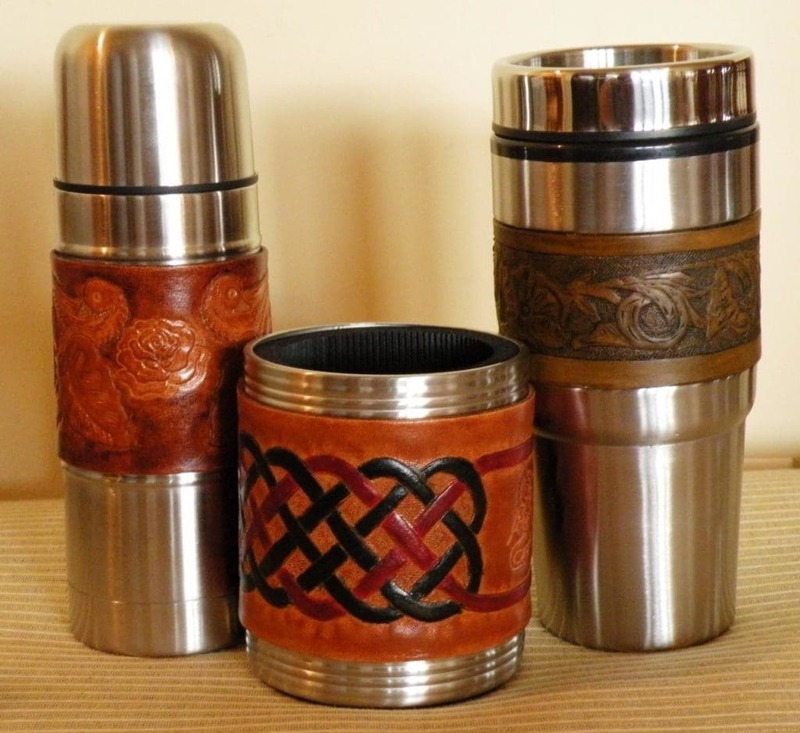 Leather decorated travel mugs, thermos or coozies help keep your beverages at their proper temperatures. 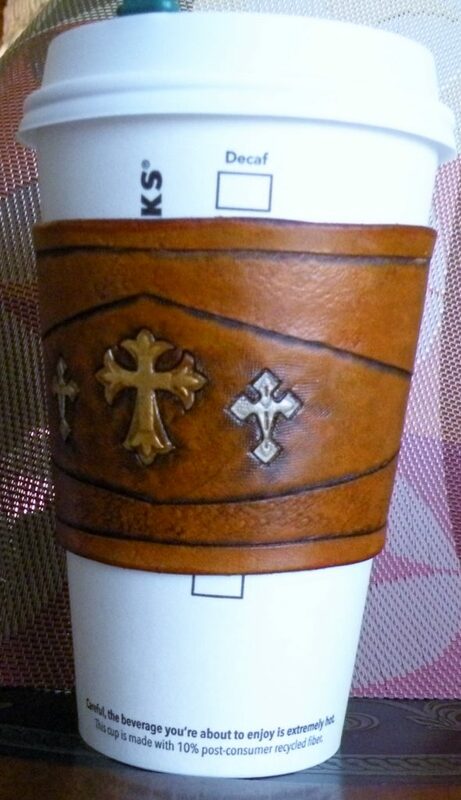 Leather bands can be decorated as you want. Your name? Company name? Company logo? Coozies come in two styles…hard sided as shown here, or foam lining only. 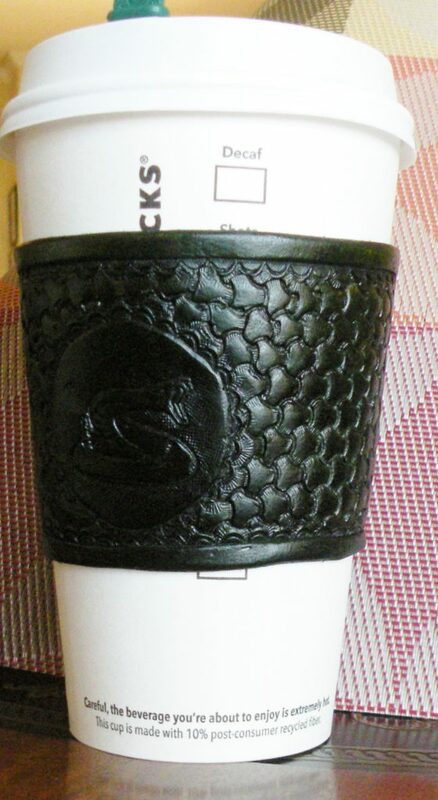 The leather bands are easily removable to help keep the containers clean and sanitary. 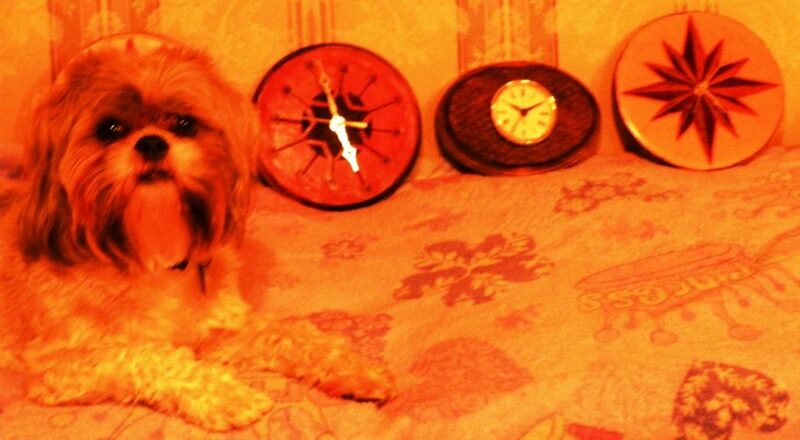 Prices again will vary but a 7 inch clock face will run about $30. Perhaps not the typical office accessory, but can be used there or anywhere! 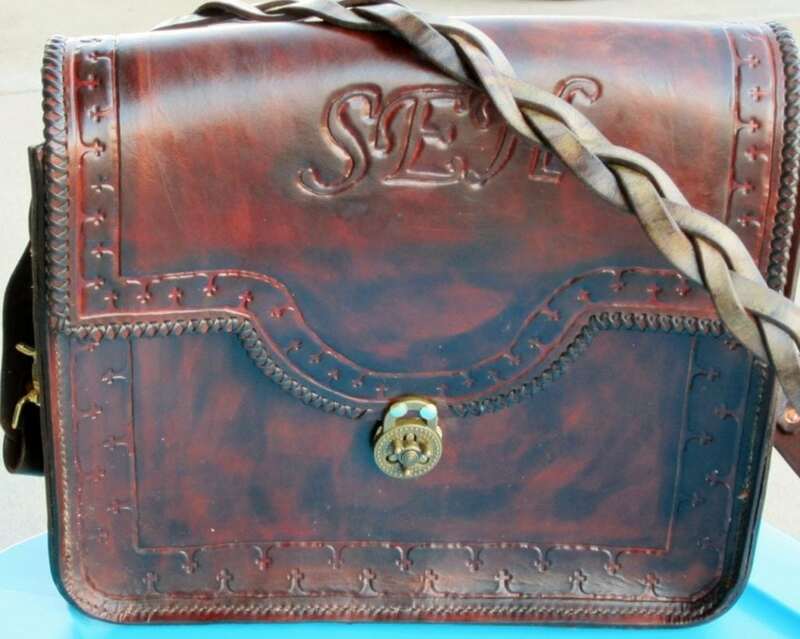 Solid construction and heavy duty leather. 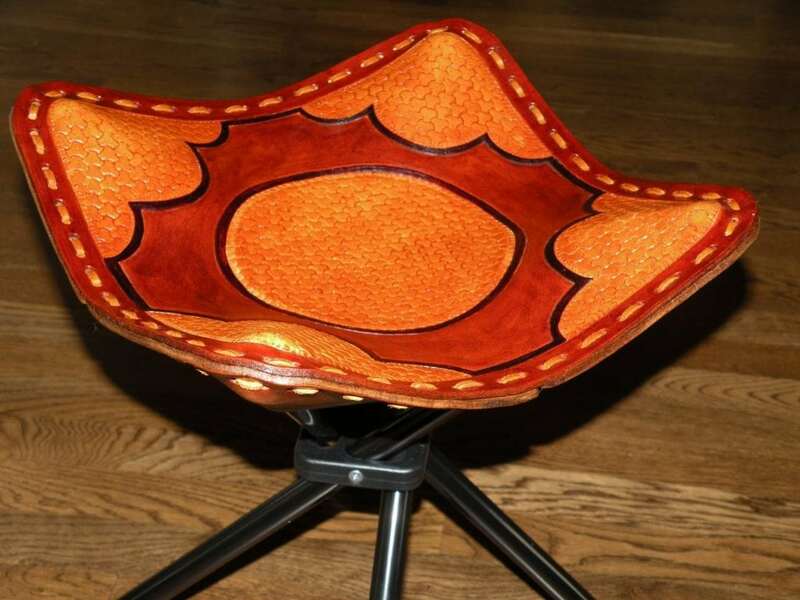 A classy camping stool with the design of your choice…perhaps your business logo? 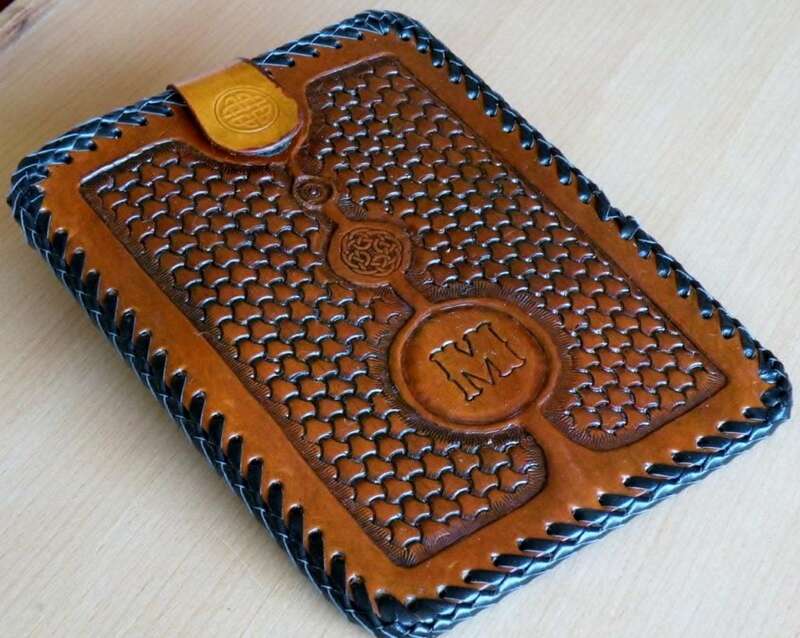 Leather loops neatly and easily hold magazines or catalogues. Can be lengthened or shortened with more or fewer loops to meet your needs. Buy two of them for the back of your truck and you have a ready-made and stylish gun rack!